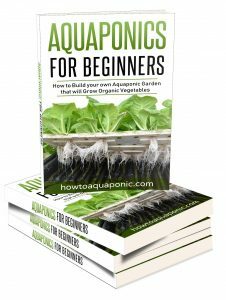 The basis of any good aquaponics system is more than just have a fish tank connected to grow beds. You need to select the right fish for the plants you want to grow and there are plenty of options. Tilapia may be the first option that springs into your head but you should be considering yabbie aquaponics; you may be surprised by what these fish have to offer. The common yabby is an Australian freshwater crustacean. 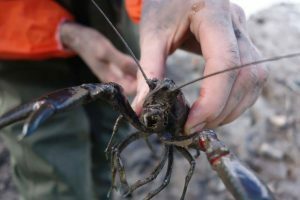 Despite being listed as vulnerable there are plenty of yabbies in the wild and their population appears to be expanding. Yabbies can be a variety of colors, from black right through to green-brown or even beige; the quality of the water plays a part in their coloration. It is also important to note that yabbies like to have places to hide; you’ll need to provide for this when choosing yabbies for aquaponics. You should also be aware that yabbies are natural climbers; specifically any plants or pipes in your tank. For this reason, you shouldn’t keep the water level too high in your tank, or your backyard aquaponics yabbie setup may be missing some yabbies! One reason why yabbies are a better choice than marron crayfish, despite their similarities, is that yabbies can tolerate a wider temperature range. This makes it easier for you to keep them. 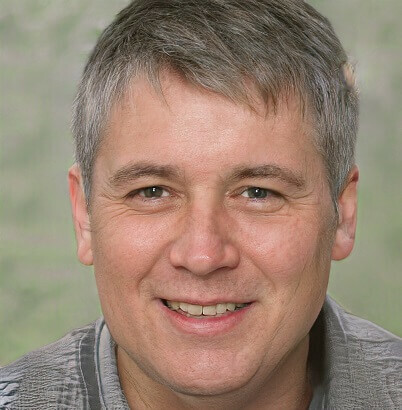 They are happy if the temperature is between 60°F and 85°F. Anything lower than this and your yabbies will become lethargic. It should also be noted that warmer temperatures encourage breeding. Of course, the temperature is not the only thing to concern yourself with in yabbie aquaponics. You also need to check the ammonia levels regularly; they should be below 0.25 ppm. Of course, the pH is also important and should be kept between 6 and 7. 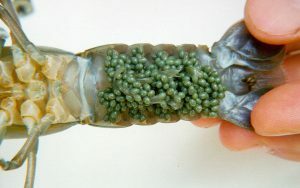 A female yabbie can have between 30 and 500 eggs in one go. The eggs will be attached under the female’s tail and should hatch within 40 days. The tiny baby yabbies will stay attached to the mother who looks after them for approximately 3 weeks. They can then look after themselves while the mother is ready to breed again! You can reduce breeding by keeping the temperature at the lower end of the scale. It is worth noting that yabbies will eat each other. If you’re going to keep them you may need to consider getting 4 tanks, one for the females, one for the males, one for the pregnant females and one for the juveniles. The males and females will only interact in the pregnant tank and you’ll need to remove the males as soon as the female has laid her eggs. The babies can be removed from this tank and placed in the juvenile tank as soon as they leave their mum; who can go back into the female tank. This will stop them from eating each other and help you control the number of babies you have. Can You Combine Yabbies With Other Fish? This is a very important question for anyone with or looking to set up an aquaponics system. 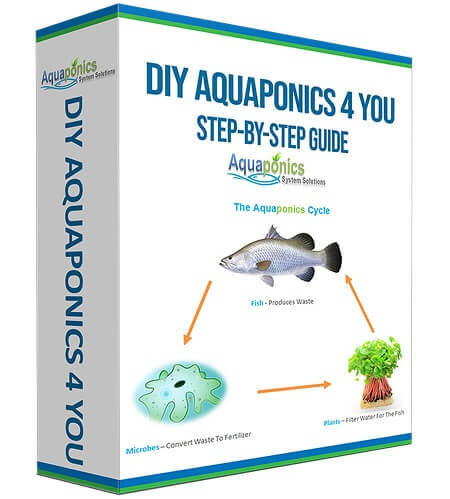 Whether you’re raising yabbies in aquaponics for breeding purposes or just to provide nutrition for your plants; you need to know if they will blend peacefully with other fish. The answer is generally no. Yabbies are likely to eat anything smaller than them or be preyed on by anything bigger than them. This means they are not a great option for mixing with other fish. The most obvious benefit of yabbies for aquaponics is the same as any fish or crustacean; a steady supply of nutrients for your plants to grow. However, there is another benefit that could make you decide this is the right path for you. Yabbies don’t need a huge amount of water, in fact, if you give them too much water they’ll be able to escape over the top of your tank. You should also be aware that by adding pipes and duckweed to your yabbies aquaponic system and a pump you’ll create the perfect set up for your yabbies not to need to move. They can live in the pipes, swipe duckweed as it passes and gives you the waste products you need for your plants; without fighting each other. The result is a simple system to maintain and one that keeps itself clean. Yabbies are more aggressive than crayfish, although there are many similarities in the way they look. In fact, a yabby is a type of crayfish but not all crayfish are yabbies. There are actually 140 species of crayfish in Australia and it is easy to confuse one for the other. This is a real issue if you’re looking for them in the wild as there are different rules regarding collecting depending on the exact species. The common yabbie has a hard exoskeleton, it needs to molt this in order to grow larger. Unfortunately the same is true for the crayfish. In fact, the only real way to tell these creatures apart is to pick them up and look at them. 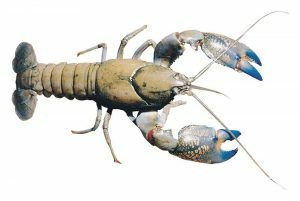 Crayfish will generally have spiny backs while the yabbie will be smooth. If you’re looking for them in the wild then you’ll also find that the yabbies prefer dams while the crayfish prefer the running water of rivers. As always, you’ll find the answers to the most commonly asked questions here. But, don’t forget if you need to know anything else just contact me. 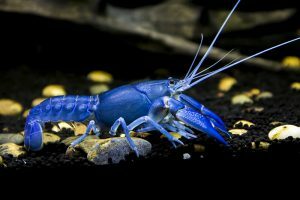 Yabbies are scavengers; they will eat almost anything you feed them, from vegetables to aquatic plants or even dead and dying fish. Of course, you can simply feed them specially formulated pellets. If you do this make sure they’ve eaten all of it before you give them any more. It’s worth noting that yabbies are very messy eaters, overfeeding them is going to give you a dirty tank. How big do yabbies get? Yabbies actually grow surprisingly quickly. They can live for up to 7 years and grow as long as 8 inches; depending on the space available. To grow they need to shed their exoskeletons; this is when they are most vulnerable to attack. However, don’t worry about the odd loss of a limb; it will re-grow in a few months. Yes. Yabbies are a common food in Australia and a great side benefit of yabbies aquaponics systems. They are generally treated in the same way as crayfish, boiled and then served plain or with your preferred condiment. If you’re planning on eating yabbies it is best to keep them in clean, fresh water for a few days prior to killing them. This will flush any tank flavors out and give you sweet flavored meat. How long do yabbies live? Yabbies can live up to 7 years. You can pick up yabbies in virtually any fish store or aquaponics center. It’s also possible to go fishing for them on the edges of still lakes or even to buy them privately. Just make sure you really are getting yabbies.